If Trump has turned the White House into reality TV, then it needs it’s own soundtrack. Enter “Make America Rock Again with Billy Freehold”! Almost daily, some commentator remarks that Trump has turned the White House into reality TV. But if the presidency is now a TV show… shouldn’t it also have its own soundtrack? Look no further than the new YouTube series Make America Rock Again With Billy Freehold. Each week, Billy and his band present a brand-new song ripped from the latest headlines, but with a decidedly pro-Trump slant. 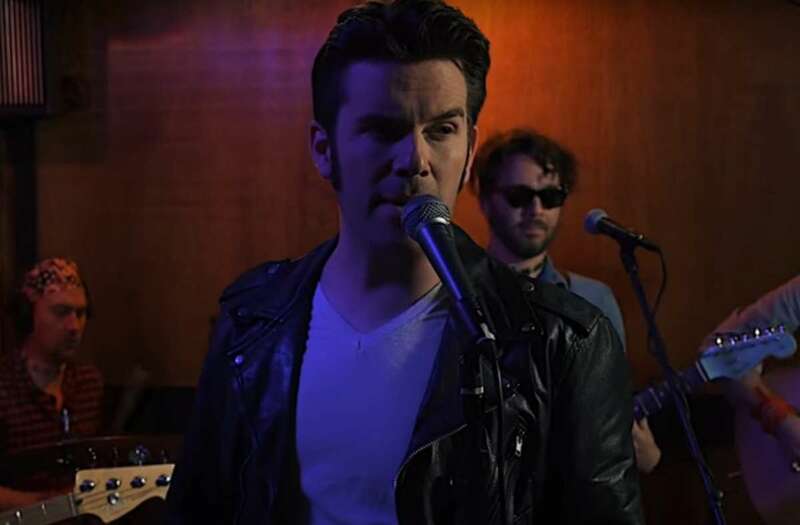 Imagine Stephen Colbert or Jordan Klepper presenting their satirical conservative diatribes in the form of rousing heartland rock ‘n’ roll, and you’ve got the right idea. Each episode is less than five minutes, with the bulk of the run time dedicated to the musical performance. Oster gives a winning portrayal of a charismatic dummy of a rock star. Subversive lyrics, extremely catchy original tunes, and the spectacle of a full rock band make the songs stand out from the standard field of YouTube comedy songs. And the feat is all the more impressive since the topical subject matter makes it clear each piece was written and performed over just a handful of days. The full three-episode season of Make America Rock Again With Billy Freehold is now available, with the latest installment offering an anthemic tribute to the incomparable Rudy Giuliani. Here’s hoping for a Season Two!